The Shay was “as advertised”. We are pleased. Even though the tread on the tires was still good, the tires were probably 30 years old so today, I ordered a new pair of shoes. We have named the car “Henry” as in Henry Ford. Anyway here is a shot or two of Henry in Grey Forest, Texas. Thank you for your assistance in the sale of my car. I had an ad in the local newspaper as well as being listed with you. I was very nervous about having the car sold online. 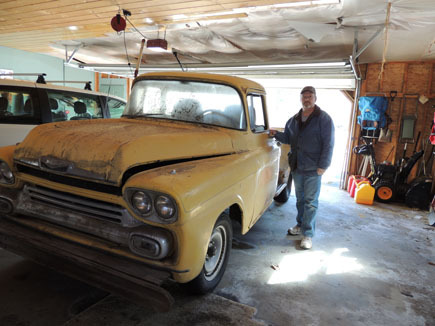 I owned the car for 44 years & hoped that whomever purchased the car would be interested in keeping the car for their own use. Everything was handled professionally by you & your staff & I am grateful for all of your help. Once the check arrived & was cleared thru the bank,I was nervous until the hauler came & loaded the car to be delivered to its destination. The buyer contacted me & I was very relieved to know that someone bought it who plans on spending money & making it a show quality car. This soothed my nerves. I would recommend your services to anyone who is interested in selling their car. I am writing to thank you again. 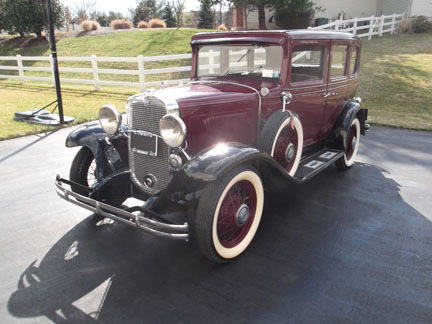 You sold me a gorgeous automobile, the 4-door sedan Chevrolet 1931. Today the car is run for the first time and it's all as it should be. The whole transaction was clean and without stress. I know very much appreciated. I will recommend your company to friends. There is always someone of a Classic car looking so I rather like your company as a recommendation. 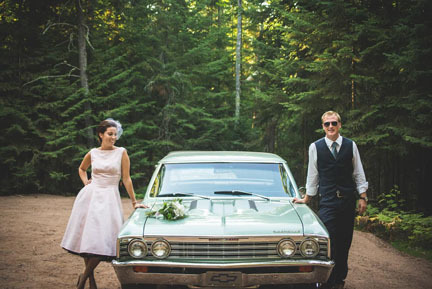 If my wedding business starts well with the Chevy, I certainly buy another car and then get first visit your site. Here is a picture of my next project I bought from HaggleMe. It was a pleasure working with haggleme.com the buying and shipping process was great no problems at all. Had a wonderful experience with the individuals at Haggleme.com. Very friendly people and easy to work with. The process of finding and owning this beautiful truck went as smooth as possible. 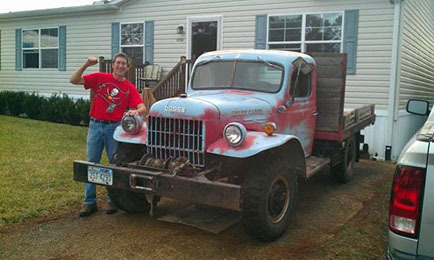 Here is a pic of me and the 1955 Dodge Power Wagon purchased from Haggle Me. Delivered from Montana to Florida as described. A real truck for real men. My experience with HaggleMe.com has ensured that I will look to them first for my next ride. Steve was professional and courteous and almost always available when I called. I also want to thank Jacob for being very helpful and courteous. It took me months to find her and thanks to HaggleMe.com I found and received exactly the "classy" lady I wanted! Thank You HaggleMe.com!! 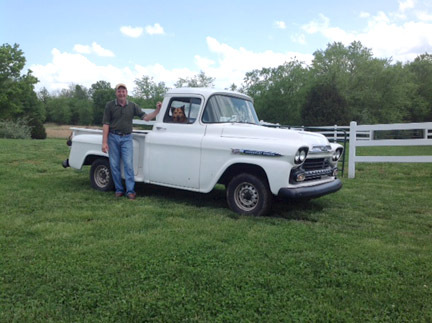 I have really enjoyed working with you to get my truck. I have never purchased a vehicle where it went so smooth. 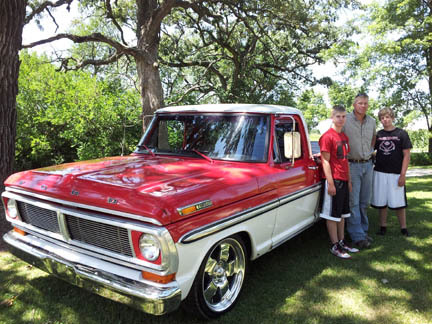 1 week after receiving the truck I entered it in a local car show and won 1st place in the class and best of show. I am so happy with everything Haggle Me has done for me. 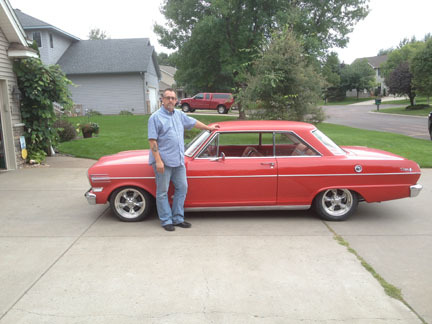 I bought my first classic car though Haggleme.com recently and the experience was great. The crew at Haggleme was very helpful, answering all questions I had in a timely manner. They even contacted the seller to answer questions they didn't know the answer to. I was somewhat nervous buying a car online especially since it was my first but everything worked out just fine. Delivery was fast and the car arrived in good shape. I would use Haggleme.com again if I'm ever in the market for another classic. 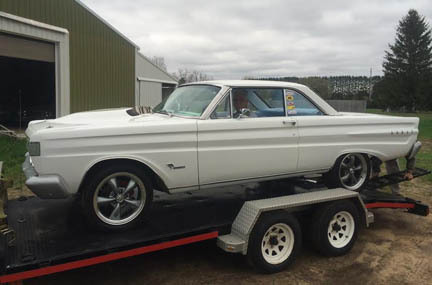 My recent purchase of a 64 Mercury Cyclone from Haggle Me was everything I hoped it would be. I have never bought a car on the Internet so I was concerned that the photos of this car would be current and the condition of it would be true to the photos shown. Talking with you Jacob, you convinced me that the pictures of the car were up to date and that if I bought the car it would show up in the same condition. You are a man of your word and that speaks volumes of yourself and the staff that work at Haggle Me. Right from the conversations with you organizing the shipment of the car from Kanas City to Haggle Me, it was smooth sailing! Travelling all the way from east of Toronto, Canada it was made so easy for me to pickup the car. This purchase was an extreme pleasure and I would highly recommend this company to anyone that is interested in making a old car purchase. Thank you very much, I am a very satisfied customer! Just wanted to say Thanks to Steve and everyone at HaggleMe for helping me find my 59 Apache Step Side. and I got my new TOY and I am very happy. Wish I could do business with people like this more often. Thank you so much for making this birthday for Claude very special. 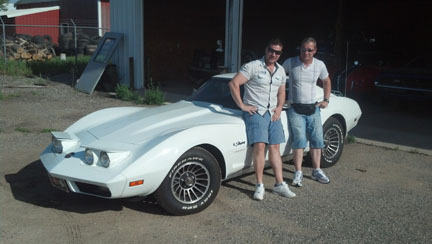 Years ago when I was attending college, Claude had to sell his transam so I could buy my books. He has always been wanting to get another one and with Jamie's help I was able to make this happen for him. Her compassion and commitment to customer satisfaction really shone through for us. My husband is very picky and very resistant to buy anything on line. Jamie made us all feel very comfortable with this and we went to see the car before buying it and then returned in 4 days to pick it up. Now that this first ice breaking event has taken place, my husband is all into looking for great deals on cars to invest in through haggleme.com. I have bought many cars online, and always avoided cars represented by a "seller's service" type ad. I own many cars, but this is the first documented low mile survivor original car I have ever purchased. Suffice it to say I was leary, however, In my dealings with Steve and his "Haggle me" company, I was quite surprised that we arrived at a really great price for the car I wanted. He was extremely helpful and willing to answer forthrightly all questions I had. I am very satisfied with his services. 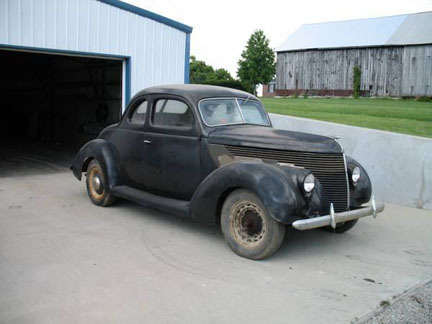 I purchased my 1937 Studebaker from Jacob, it was the result of a long search & worth every day I waited to find her. 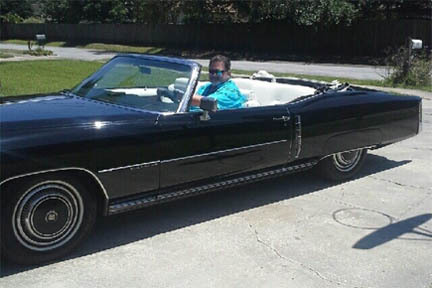 Jon met me after hours to show me the vehicle & delivered it 6 hours away to my home. I would never have guessed it could have been this easy & if I ever have the chance, I will buy from them again. Thanks to the whole Haggle Me group!!! Thanks to everyone at Haggle Me for making my dream come true. Their entire staff went above and beyond the call of duty to find the perfect car for me. They were completely professional and I would highly recommend Haggle Me to anyone looking for that special vehicle. In preface, I was not the easiest customer to accommodate. 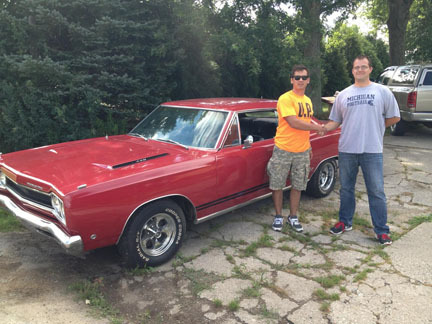 One week before our wedding I found a beautiful 67 Chevelle on the Haggle Me website. At the final hour I decided to give the car to my wife as a surprise wedding gift. I know, romantic. However, not the easiest feat to pull off in less than one week. Jacob and the entire crew worked to make it happen, and as a result, our day was a little more special. The car arrived three days before, exceeding my expectations. If you have any reservations about purchasing a car from Haggle Me, look at the smile on our faces. I cannot thank the crew enough. It was a pleasure. Many thanks. Yee Haw! from Midland-Odessa, Texas. We are having so much fun with this car! Gary is a long time golfer, but when we got to Odessa, TX there wasn't much golfing fun to be had. Gary had 2 Model A's in his younger days and always wanted another. 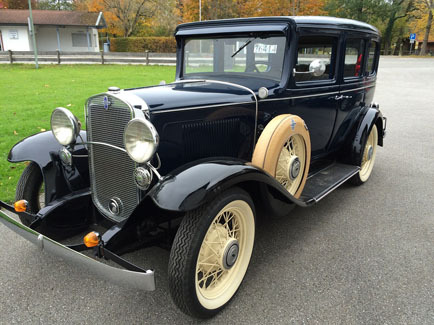 With his birthday approaching, I started looking for the ideal birthday gift, a Model A. I found Haggle Me and there was actually quite a choice of antique collector vehicles. 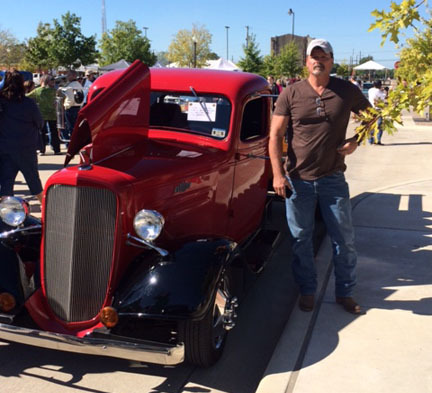 I had my husband look with me and sure enough there was a Model A that caught his eye. We picked up the phone and made the call. John called us back and answered our questions about this car. We really felt at ease working with John and he has never let us down. 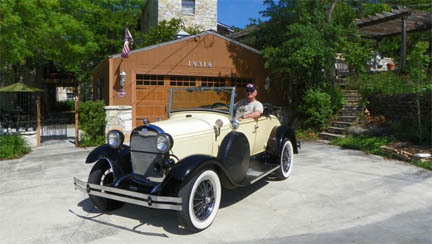 We pulled all the details together and my husband's 1931 Model A arrived! This car has really created the excitement as we drive thru town. Everybody wants to look at the Model A. 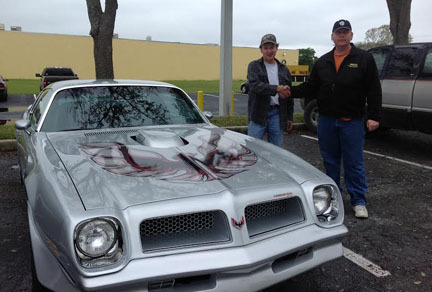 We have joined some collector car clubs and really are meeting a great group of people. You took such good care of getting us just the right car, we want you to do it again. 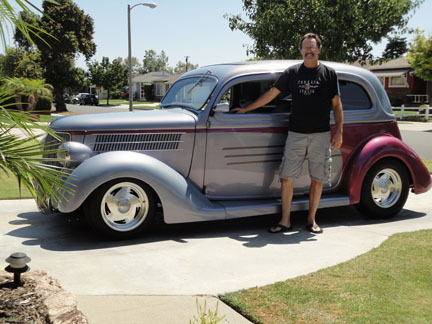 We are Baby Boomers and really like those muscle cars! 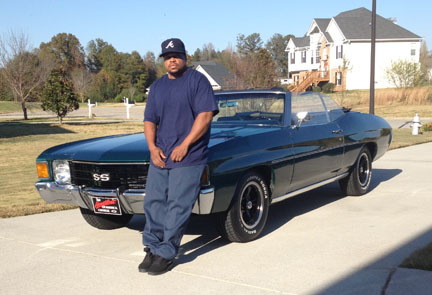 My husband has got his car, now I want mine! 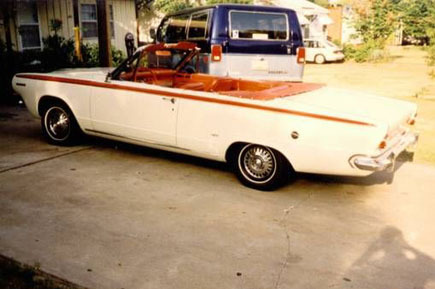 John, can you find be a Thunderbird or maybe a Corvette that would just be a fun cruising vehicle? Thanks, and I look forward to hearing from you! Hope all is well with you and your family. Thank you for the Business Cards and I will hand them out at car shows. 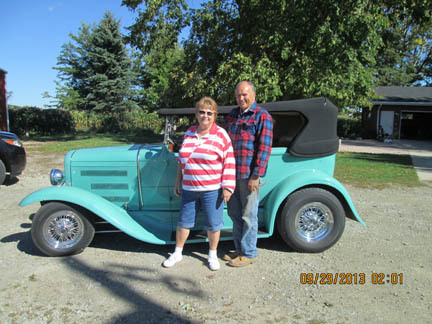 Sue and I are really enjoying it and hope everything is going good for you and the family.Thank you for the business cards a lot of people around Winona asked where the car came from and we told them how up front you where with us and we didn’t even go look at the car first. We are having a Blast with it. 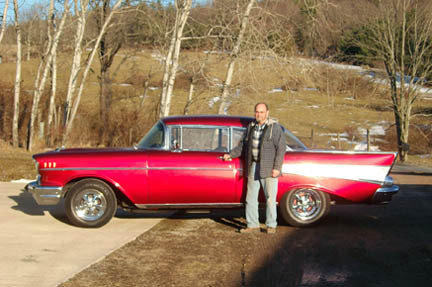 We purchased a ’57 Chevy from Haggleme.com through Steve in December 2012. I would recommend Steve to any potential buyer. We felt very comfortable with him through the entire transaction. The car was well represented, and all questions were answered in a timely fashion. John also arranged the shipping of the vehicle, which went well. 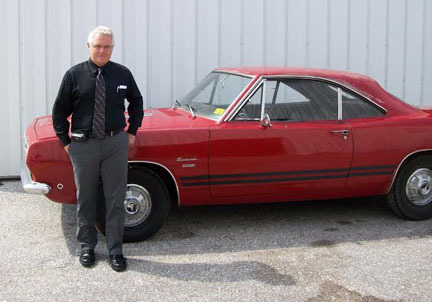 I would not hesitate to purchase another car from Steve at Haggleme. I'm normally very cautious when it comes to purchasing anything over the internet, pictures don't always tell the true story. But after several conversations with the crew at Haggle Me, I became convinced this was the Real Deal. 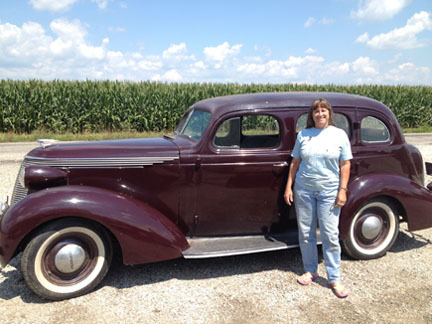 They walked me through the steps necessary to make the purchase and made it possible for me to become the proud owner of a 1931 Chevrolet, Special 4 door Sedan. 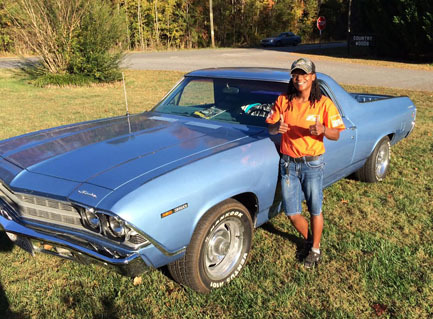 The entire process was hassle-free, Thanks to them, I was able to have my car professionally transported from upstate New York to Northern Virginia. 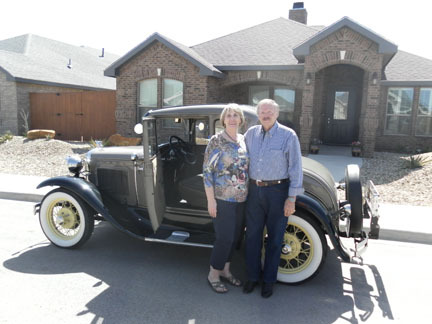 Upon my request, they were kind enough put me in contact with the previous proud owner and we've had several great conversations about the history and the special care and maintenance our vintage automobile. Bottom Line: Haggleme.com provide excellent customer service and support. 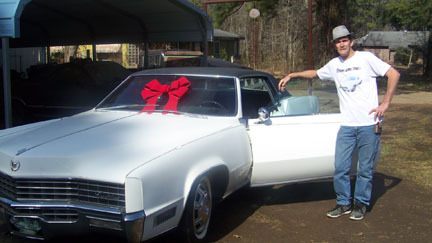 My car met and exceeded expectations and based on my experience, I've recommended Haggleme.com to family and friends. Haggle Me is the place to buy cars. 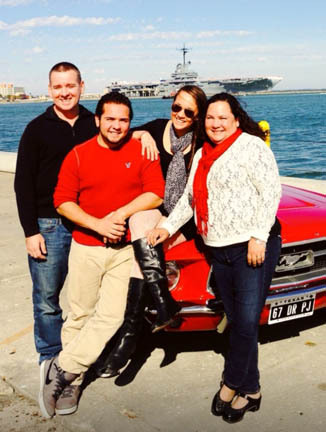 We want to personaly thank you in assisting and helping us find the right cars. They are great at negotiating a fair price for both parties. 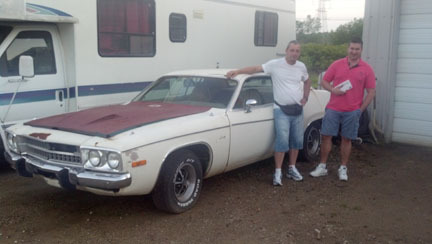 We are from Hungary and we came to America to buy 2 cars and after 1 week we have purchased 6 American Muscle Cars from the Haggle Me Team. Great Experience and I would reccommend Haggle Me to anyone. Don't waste time with other companies Call Haggle Me today. Thanks to your website and your service. I got my car safe and sound and it's cool. Never bought a car on line before and I would do it again. Thanks again for your honesty One happy customer. Just want to say thank you in making my dream come true. 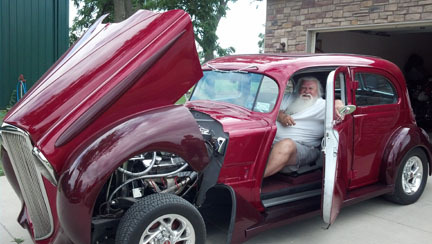 It was my dad's plan for both of us to restore a GTX together, but his death put that on hold. 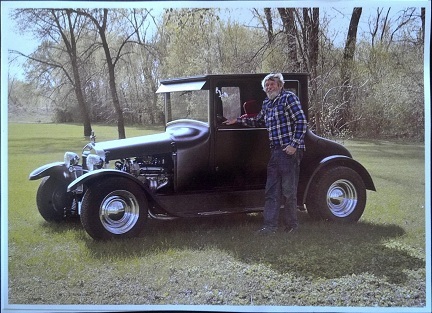 Now I plan to do this restoration in memory of my Dad. The team at Haggle Me was Great and made the deal go down hassle free. I recommend HaggleMe to anyone. 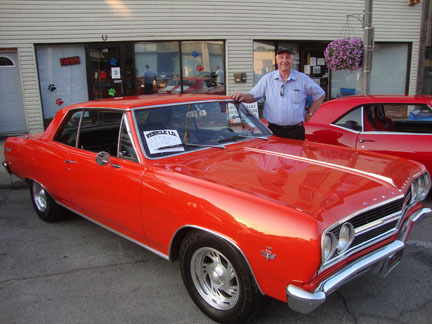 I was looking for a cruiser Chevelle that would not become a project as so many old cars can be. I was nervous, but the people at Haggle Me made me feel relaxed through the entire process. They provided shipping to my doorstep without a hassle, and I am completely satisfied with my purchase. Thanks you guys, it’s been great. If I ever purchase another classic car I will certainly use Haggle Me. "Elizabeth" arrived a short time ago at her new home in North Carolina. She really needs a bath, but other than that she is still beautiful. Just wanted to say thank you to Haggle Me in assisting me with the purchase of my new toy. Haggle Me made this so easy and stress free. Thank you guys again you do a great job. 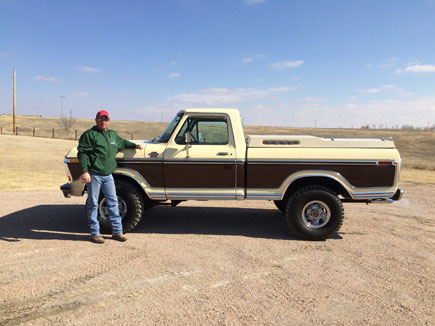 My family is very interested in older, fixed up cars and trucks.So, when I was looking for a vintage ford truck in my budget for my sixteen year old son to drive we went to haggle me. They had good selection and we soon found one we wanted. They had it priced right and we soon settled on a deal. It is an awesome looking truck and was delivered to my driveway within a few days. Hey you guys did great! Would recommend HaggleMe to all my friends who are buying or selling a car.